Costs you pay for most kinds of business insurance are deductible for tax purposes on your business income tax forms. Below is a look at the various types of business insurance and their deductibility and info where to deduct these business insurance expenses, depending on your business type and tax form. Property insurance, casualty insurance, and general liability insurance (often sold together). The property portion protects against loss or damage to property you own and the contents. If you lease space, the landlord has insurance on the building, and you have insurance on the contents. The casualty and liability sections deal with all kinds of employer liability, commercial auto liability, and general crime insurance. Business interruption insurance is often included with overall business property and casualty coverage. It includes coverage in case you can't carry on business after an unexpected emergency or natural disaster. 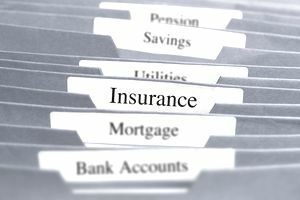 Other types of insurance that you may want to purchase for your business, and that you can deduct, include professional liability and malpractice insurance. Although malpractice insurance is taken out by the individual professional, this insurance is a requirement of the business and can be deducted as a business expense. If you have a service business or you give advice, you may want to consider errors and omissions coverage, a specific form of professional liability. Key person life insurance on company officers and executives. This assumes that the company is the beneficiary, not someone like a spouse or other non-business person. Workers compensation insurance. Workers compensation is paid by the business to provide coverage for employees for on-the-job illnesses or injuries. Insurance on business-owned vehicles. You may only deduct the portion of the insurance premium applicable to business use of the vehicle. If you use the standard mileage rate to figure your car expenses, you cannot deduct any car insurance premiums. Performance bonds or fidelity bonds. This includes fidelity bond coverage for employee theft and performance bonds for construction contracts. Group health care insurance coverage for employees, if your business meets specific qualification requirements. Contributions to a state unemployment insurance fund, but the IRS requires that these payments must be "considered taxes under state law." If you have a home-based business, you may deduct a portion of the property insurance on your home that is related to your home office space. You may not deduct the cost of life insurance for anyone associated with your company if you (the owner) are the direct or indirect beneficiary. Business disability insurance for you as the business owner is tricky. If you deduct disability insurance premiums for yourself as the owner, then the benefits paid to you if you are disabled are considered taxable income to you. According to Mass Mutual, premiums for disability insurance for a sole proprietor are not deductible as business expenses, but the benefits are not taxable. It's best to check with your tax professional before you buy disability insurance for yourself as a business owner. For sole proprietors and single-member LLCs, show these expenses in the "Expenses" section of Schedule C on Line 15. See IRS Publication 15B for more information on specific employee benefits. See IRS Publication 335, Chapter 8 for more information on business insurance deductions. This article presents general information to help you in a discussion about business insurance expenses. These issues are more complicated than a simple listing. Before you attempt to take deductions for these expenses, consult with your tax professional.